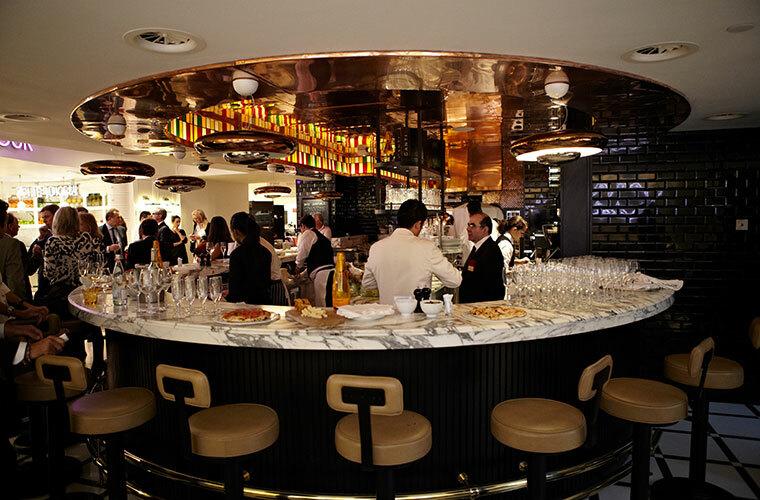 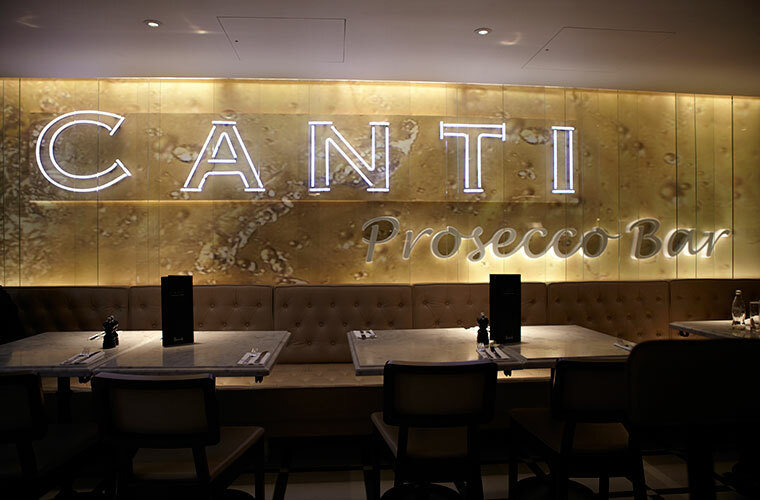 CANTI PROSECCO’s concept store adventure continues in the prestigious setting of Harrods in London. 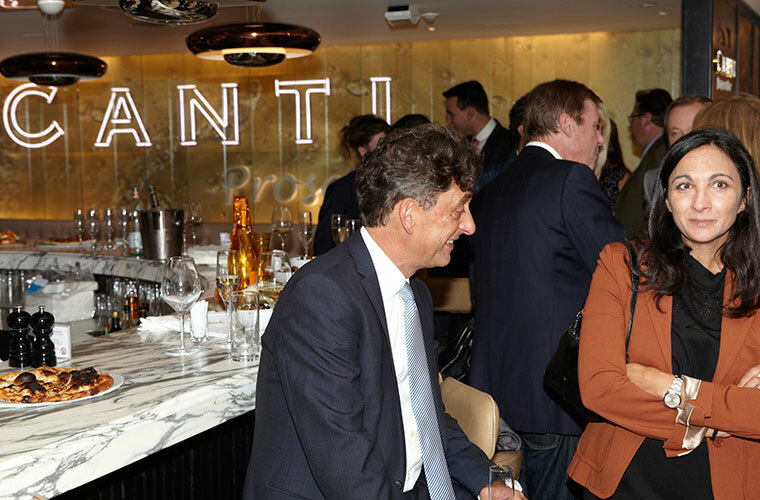 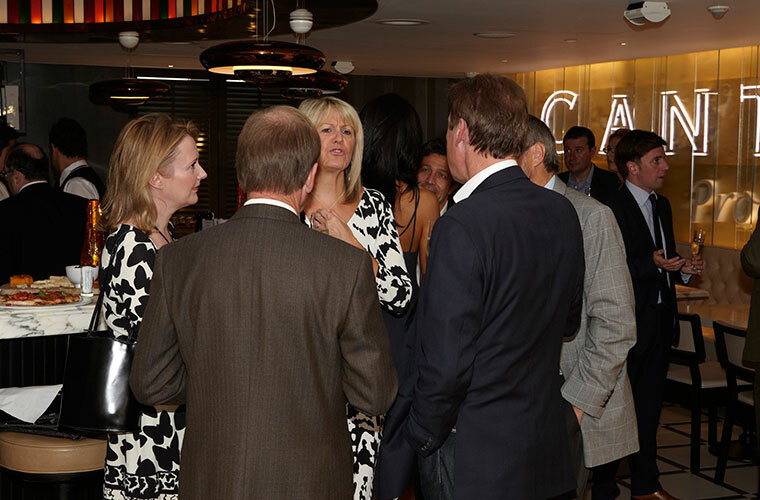 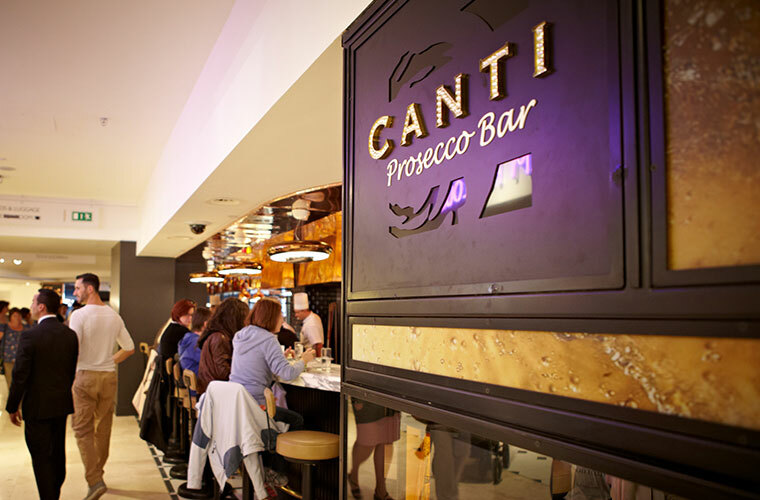 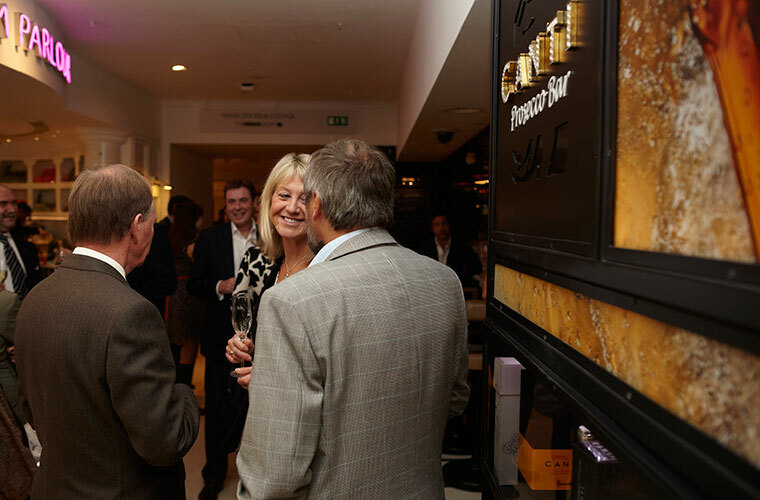 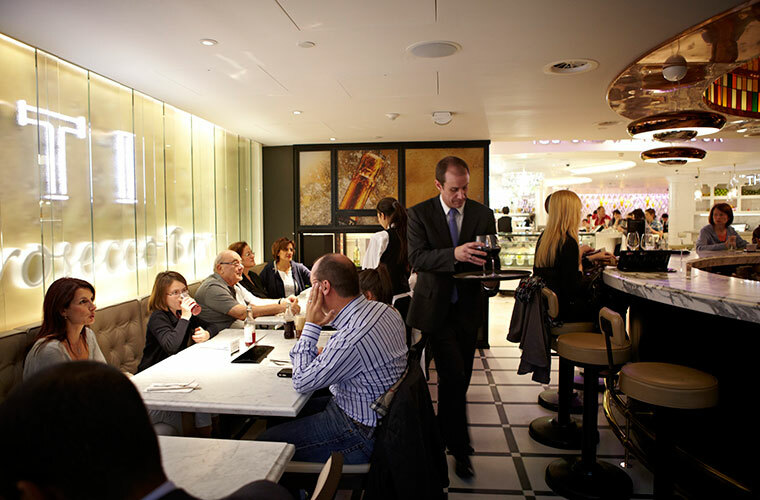 Situated on the second floor of the luxury megastore, the CANTI PROSECCO bar welcomes visitors with wholly Italian hospitality defined by smiles, cheer, good food, and – above all – the excellence of CANTI wines. 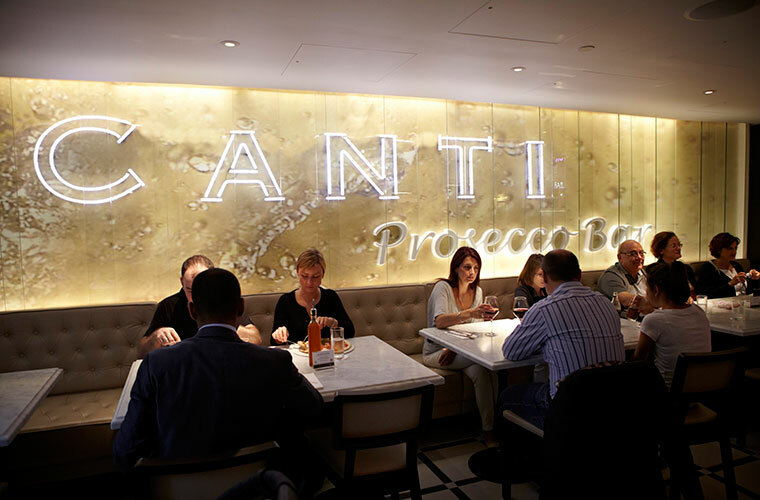 Any occasion becomes the right one, a quick snack, a lunch amongst friends or a classic aperitivo with a glass of wine or one of the sophisticated cocktails that the CANTI Staff recommends daily. 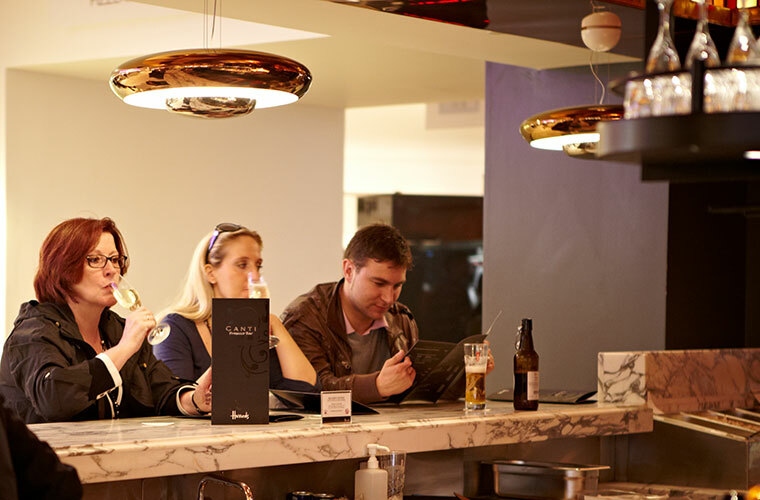 The atmosphere is always unique and unforgettable, come for the experience and raise a glass to yourselves!